What’s the Matter with Saxony? The results of last year’s federal election were a disappointment for Angela Merkel’s CDU. In the Free State of Saxony, however, it ended in a disaster of historic proportions. This was particularly painful, given Saxony’s importance for the CDU. After all, the CDU had continuously governed the state for the past 27 years. Its first post-reunification minister president, Kurt Biedenkopf – like most top politicians in the east, an import from the west – sought to make Saxony a showcase of successful reconstruction. The painstakingly restored city centers of Leipzig and Dresden provide eloquent testimony for what the combination of political will and money can accomplish. Economically, Saxony has also done quite well. In 2016, the state boasted the highest labor force participation rate in Germany (80.5 percent), while its unemployment rate (7.6 percent) was not significantly higher than in most parts of the west. Where the state lagged considerably behind the west was in terms of GDP per capita and productivity; but this was the case for all eastern states. Given these circumstances, it is hardly surprising that the vast majority of Saxons have been quite satisfied with their lives and their economic situation. In the most recent (2017) Sachsen Monitor, an annual investigation of public opinion in the state, three out of four Saxons expressed an optimistic outlook on the future. Voter confidence, however, was not translated into support for the CDU. On the contrary. With 26.9 percent of the vote, the party attained its lowest result in federal elections. To make things even worse, the party ended up in second place in the most recent elections, slightly behind the AfD (Alternative für Deutschland), Germany’s version of radical right-wing populism. The latter not only managed to triple its electoral support of 2013, it also managed to win four direct seats – an impressive feat given Germany’s electoral system. The AfD was founded in 2013 by a number of professors (hence the moniker “Professorenpartei”) opposed to Angela Merkel’s support for the Eurozone bailout of Greece. In the years that followed, the party was gradually taken over by right-wing radicals who transformed the AfD into a radical right populist party modeled after the Front National in France and Austria’s FPÖ. This entailed adopting their xenophobic and nativist rhetoric, targeting refugees and, in particular, Germany’s sizeable Muslim community. 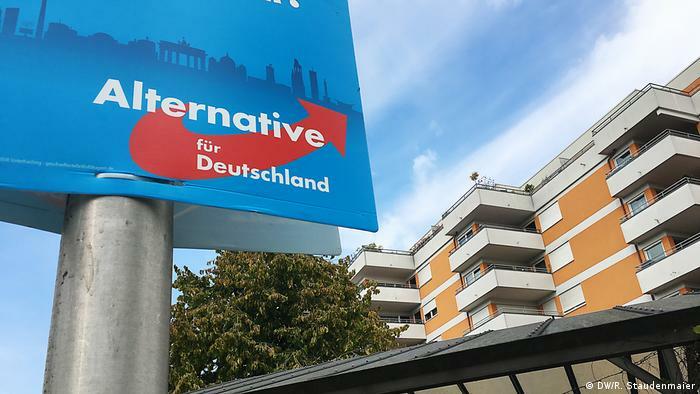 In fact, the mobilization against Islam has become central to the AfD’s campaign strategy both on the regional as well as on the federal level. Leading party representatives not only vigorously rejected the notion that Islam was a part of German culture; some even suggested that Islam should be outlawed, arguing that Islamic law was incompatible with Germany’s constitution. At the same time, the party warned of the “Islamization of the West” (which it claimed was already underway, abetted by left-wing elites) and charged that Germany’s native-born population was facing a genuine threat of demographic “replacement” (inspired by Renaud Camus’ theory of the “grand remplacement”). The AfD’s nativist rhetoric certainly resonated with German public opinion. According to a Yougov poll from 2015, more than 70 percent of respondents in the west, and more than 80 percent in the east, were of the opinion that Islam did not belong in Germany. A year later, a comprehensive public opinion study found more than 50 percent of the population expressing uneasiness over the presence of Muslims in Germany, saying that it made them feel like strangers in their own country. At the same time, several surveys found that around half of the population considered Islam a “threat” to the country. Under the circumstances, the AfD’s electoral success in 2017 was hardly surprising. Neither was the party’s dramatic upsurge in Saxony. After all, Dresden had been the epicenter of the Pegida movement, whose demonstrations against alleged Islamization had briefly made it into the headlines both domestically and abroad. They seemed to suggest that concerns over Islam were particularly pronounced in Saxony. Studies of Pegida participants, however, contradict this conclusion. They reveal that only a very small minority took part in the demonstrations in order to express their anxiety about Islam. What motivated a large number of participants was not the question of Islam, but a profound sense of political disenchantment. This is hardly surprising given the fact that the number of Muslims in the eastern part of the country is negligible. Political disenchantment is often associated with economic issues. Prime examples are growing inequality – which has also become an issue in Germany; the debasing impact of globalization upon “routine” and lower-skilled workers; but also the threat of relative status decline associated with it. The latter has become increasingly important as a major explanation for the surge of populism in recent years. It fails, however, to account for the success of the AfD in Saxony. Fear of social decline (Abstiegsangstin German) has significantly declined in recent years throughout Germany, but particularly in the eastern part of the country. The same has been true for income polarization, that is, the hollowing out of the middle class. This has been particularly pronounced in the east where the percentage of low-income groups has declined, while middle-income segments have increased. What, then, might explain the strength of radical right-wing populism in Saxony? I propose two potential explanations. One refers to a legacy from the GDR era. Despite its avowed internationalism, the GDR was hardly welcoming toward foreigners. The country recruited a substantial number of “guest workers” from friendly socialist countries (such as Cuba, Vietnam and Mozambique), yet these workers lived isolated from the rest of the population. Contacts between them and East Germans were officially discouraged. In fact, the guest workers provoked considerable resentment amongst the East German population. After the fall of the Berlin Wall, the vast majority returned to their countries of birth. As a result, the East German population never had to contend with a substantial or visible foreign presence – a situation which largely continued to persist after reunification. Even in the bigger eastern cities, the number of foreign residents is considerably lower than in comparably-sized cities in the west. This means that the eastern part of Germany is demographically much more homogeneous than the territory of the former West Germany – a situation that a substantial number of east Germans apparently not only welcomes but seeks to preserve. Thus in a recent survey, almost half of eastern respondents agreed with the statement that that Germany should return to its traditional values and ensure that “our Christian-Western culture does not get lost”. In the west, by contrast, only roughly a third of respondents agreed with this statement. It stands to reason that the dramatic influx of refugees a few years ago only exacerbated latent anxieties and ressentiments, which found their expression in support for the AfD. The second potential explanation is intimately linked to the state of German unification some thirty years after the event. Much has been written about “Ossies” and “Wessies;” most particularly unflattering to both. They reflect mutual prejudices and ressentiments, some of which have persisted to this day. Behind the clichés, however, hides a worrisome reality: despite all appearances of normality, a considerable number of Germans in the east are disenchanted, not necessarily because of their material situation, but because they have the feeling that they are not getting the respect they deserve. The result is a kind of emotional deprivation, as reflected in opinion polls: in 2017, almost half of respondents in Saxony agreed with the statement that East Germans were second-class citizens. More than two thirds felt that East German achievements were not sufficiently recognized. It is this emotional sense of deprivation – for which researchers have coined the notion of Ostdeprivation– which, to a large extent, seems to have fueled the populist revolt that has swept large parts of eastern Germany; and in particular, Saxony. In the years following reunification, eastern sensitivities found relief in form of the PDS (Party of Democratic Socialism), the direct successor to the SED, former East Germany’s communist party. In 2006, the PDS merged with a new, western-oriented leftist party, founded by dissenters from the SPD, disgruntled over the liberal economic course pursued by Chancellor Gerhard Schröder. The resulting new party, DieLinke (The Left) was no longer the exclusively eastern party the PDS had been. The loss of eastern identity became even more obvious after the iconic easterner, Gregor Gysi, resigned from all top party positions in 2015. It was hardly a coincidence that two years later, some 400,000 former Die Linkevoters defected to the AfD – a party heavily dominated by easterners. Its leading spokespersons have had a decisive influence on the party’s progressive radicalization – a process that is likely to continue. Under the circumstances, it is hard to imagine that the AfD will disappear from Germany’s political landscape in the foreseeable future. © Hans-Georg Betz. Views expressed on this website are individual contributors’ and do not necessarily reflect that of the Centre for Analysis of the Radical Right (CARR). We are pleased to share previously unpublished materials with the community under creative commons license 4.0 (Attribution-NoDerivatives).